SHETLAND News is ensconced at the count at Clickimin Bowls Hall, where we’ll find out in the next three or four hours whether Liberal Democrat Tavish Scott has managed to retain his seat amid a challenge from the SNP’s Danus Skene. 02:25 – Liberal Democrat Tavish Scott has held onto the Shetland seat with a total of 7,440 votes – 67 per cent. 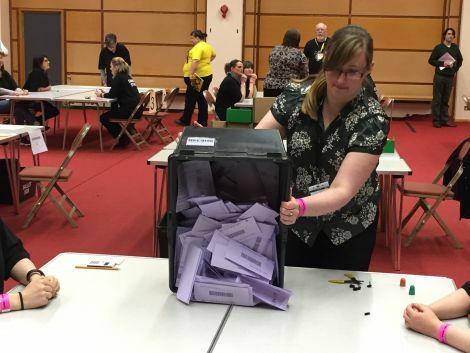 SNP’s Danus Skene received 2,545 votes (23 per cent), Labour’s Robina Barton came third with 651 (six per cent) and the Conservatives’ Cameron Smith received 405 votes (four per cent). 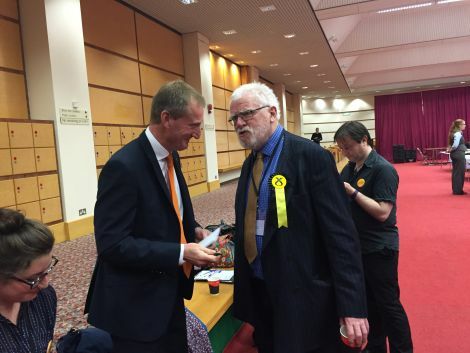 01.15 – A handshake from Danus Skene to Tavish Scott, who recently arrived at the Bowls Hall, in effect concedes that the Shetland seat has gone the same way as Orkney, remaining in Lib Dem hands once again. We should have the full declaration within the next hour or so. Scott is talking up his Orcadian counterpart Liam McArthur’s success. McArthur won a whopping 67 per cent of the votes: “A fantastic result for Liam and a fantastic result for his campaign team. 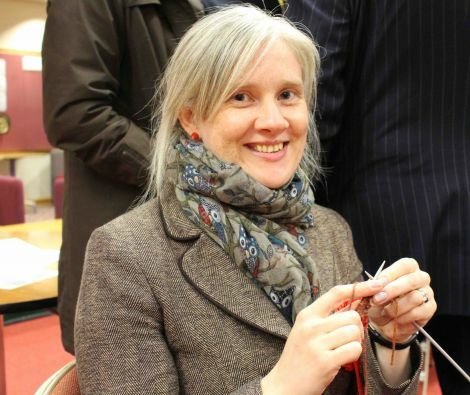 01.13 – Labour candidate Robina Barton is standing for election for the first time and she says the campaign has been a “good learning experience”. She is “not champing at the bit again” to stand in the future, but Barton wouldn’t rule it out. The Bressay woman conceded, however, that Labour may have fallen victim to tactical voting. “I’ve had positive feedback, and know some people are voting for me,” Barton said. To pass the time before the vote is announced, Barton took out the knitting needles to start work on a new tea cosy. 00.47 – If Orkney is anything to go by, Tavish Scott won’t have any problems tonight: Liam McArthur won a whopping 7,069 votes (67 per cent), miles ahead of the SNP’s Donna Heddle (24 per cent). 00.41 – Turnout is up significantly on 2011 following something of a political awakening during the Scottish independence referendum. 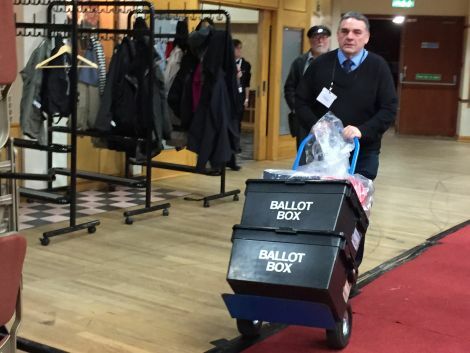 64 per cent of Shetland voters exercised their democratic right, up from 54 per cent five years ago. Eighty one per cent of postal voters took part, while the Bressay, Gulberwick, Quarff and Uyeasound polling stations recorded turnouts above 70 per cent. 00.22 – SNP representatives at the count are gloomy to say the least about their man’s chances. The Lib Dems are quietly confident that Tavish Scott has retained the seat, along with counterpart Liam McArthur in Orkney. 00.03 – With the election vote open to 16 and 17 year olds for the first time, Liberal Democrat Tavish Scott – who has not yet entered the building – tried a novel way of enticing young voters. He sent a colourful, cartoony postcard to first-time voters across the isles that depicts himself as a delivery man packaging up Shetland’s many interests in a cardboard box. It reads on the back: “Dear First Time Voter, I am proud to have been Shetland’s MSP for 17 years, but this election is going to be very close between myself and Danus Skene of the SNP. 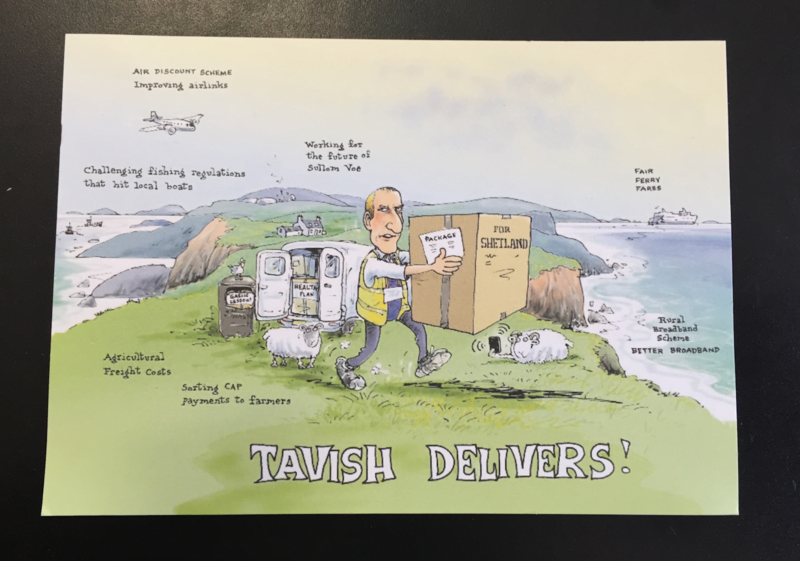 23.39 – SNP candidate Danus Skene is predicted to push Liberal Democrat Tavish Scott closely in the count, but the 72 year old concedes that Shetland’s long-standing MSP is likely to win. With Northern Isles MP Alistair Carmichael’s recent memogate scandal rocking the Lib Dems, the SNP could pick up extra support from dissatisfied voters. However, Skene would rather focus on the “good record” of the SNP Scottish Government. “The Alistair Carmichael affair has not come to the surface much during the campaign, and I’m personally quite glad of that. 23.05 – Cameron Smith, standing for the Conservatives, was one of the first candidates through the Clickimin doors and he said this year’s election campaign has been fought “really enthusiastically” on all sides. 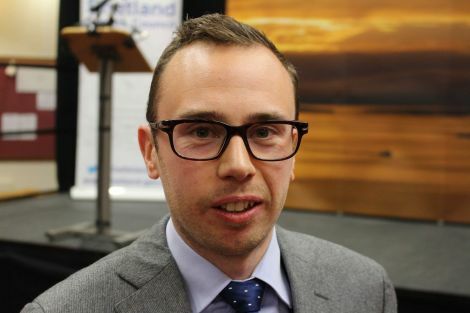 Latest polls are suggesting that his party could usurp Labour and come second overall in the election.The European Parliament worker says he is hoping to get a “good number” of votes in the Shetland constituency. The biggest challenge for Smith during the campaign? “Trying to get around Shetland,” he said. 22.34 – The first ballot boxes to arrive were zipped over from Gulberwick quicker than the boxes from the nearby Gilbertson Park. Looking back to the 2011 Scottish Parliament election gives an idea of the jump in votes Danus Skene requires if he is to win. Last time out SNP candidate Jean Urquhart, who has since left the party and now stands for socialist alliance RISE on the list, won 1,134 votes – just a 12 per cent share. Tavish Scott won the support of almost half those who stood – 4,462 votes giving him a 47.5 per cent share. The figures last time, however, were skewed by the presence on the ballot of independent Billy Fox on the back of spearheading anti-Viking Energy campaigners Sustainable Shetland. He won 2,845 votes, a share of 30.3 per cent. Robina Barton will be hoping to improve on central belt man Jamie Kerr’s 6.6 per cent share and 620 votes, while Cameron Smith starts from a low base thanks to the mere 330 votes (3.5 per cent) won by well-spoken Tory Sandy Cross five years ago. 22.20 – Bookies Ladbrokes make Scott as 1/4 to win the seat, one of few which the SNP is not forecast to win on the constituency vote. Also in the running are Labour’s Robina Barton and the Tories’ Cameron Smith. The Highlands and Islands region is also electing seven list MSPs, and we should have the Shetland-specific figures for that vote before 2.30am too. The overall regional declaration takes place in Inverness and is expected at around 7am. 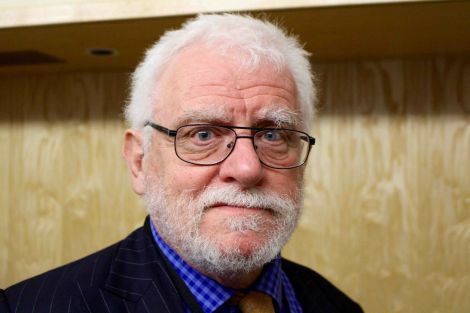 Nine parties are fielding candidates, along with Orcadian independent James Stockan.